Choose from three field of view settings to perfectly frame your video. For a head and shoulders shot, pick 65 degrees. For larger groups or to capture more of the room, choose 78 or 90 degrees. 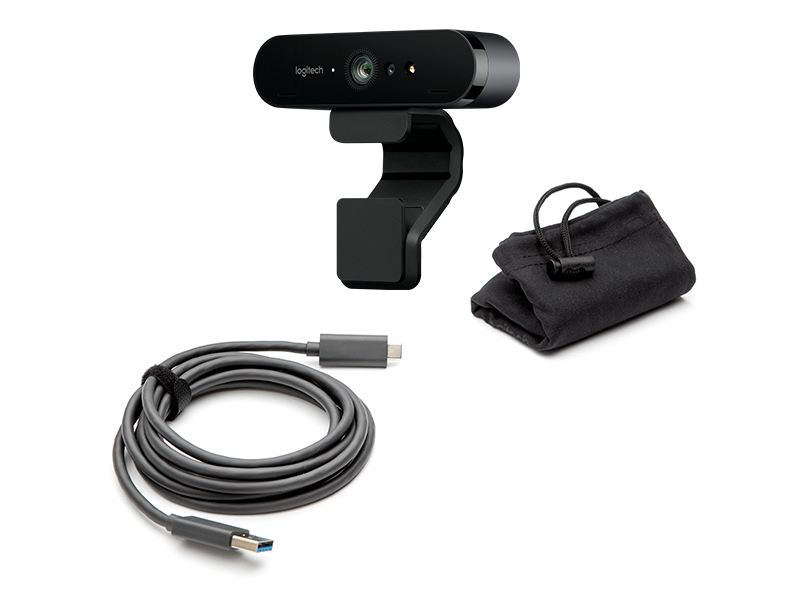 Step up to Logitech’s most technologically advanced webcam. BRIO delivers spectacular HD video up to 4K and advanced RightLight 3 light correction for pro-quality video calls, streaming and recording. Stream crystal-clear video with superb resolution, color and detail. BRIO delivers 4K Ultra HD at 30 fps or 1080p at either 30 or an ultra-smooth 60 frames/sec. Get a closer look with 5x zoom. Look your best in any lighting condition, even low light or bright sunshine. Built-in RightLight 3 and high dynamic range (HDR) technology auto adjusts to highlight the most important subject: you. If your video app recognizes a webcam, you can use it with BRIO. It’s certified compatible with Skype for Business, Windows Hello, Cisco Jabber, cloud services like BlueJeans and Zoom, and more. An adjustable clip and tripod thread make it a breeze to place BRIO wherever it works best – LCD screen, notebook or tabletop. A removable shade flips down to assure privacy and peace of mind.